Staff sergeant Cathrine Schmid isn’t giving up her 12-year army career without a fight. Cathrine Schmid photographed in Lakewood, Washington. Staff sergeant Cathrine Schmid was prepping for physical training at Joint Base Lewis-McChord when Donald Trump sent the 6am tweets that would herald a drastic change in her career. 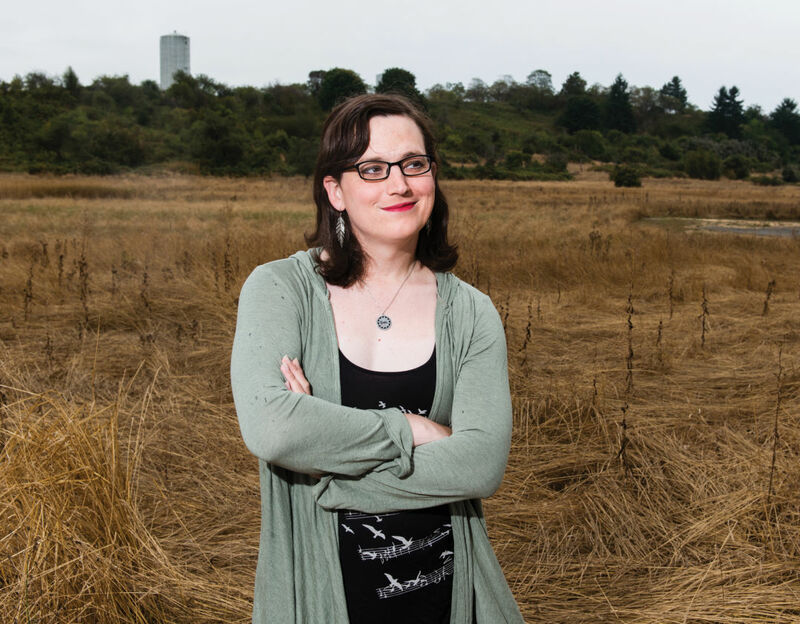 “It’s not like I’m the kind of person to let fear get in the way of doing my job,” says Schmid, a signals intelligence analyst and transgender woman. A month later, she became a plaintiff in a federal lawsuit filed by Lambda Legal and OutServe-SLDN challenging the ban, which becomes effective March 23, 2018. Raised as an evangelical Christian outside Portland, Schmid married before enlisting at 20, repressing her trans identity. “I thought I could overcome it with fervent religious belief, patriotism, and good old-fashioned heterosexual romance,” she says. None of it cured gender dysphoria. After numerous service commendations and achievement medals and a combat deployment in Iraq, Schmid began transitioning in 2013. Her fellow soldiers were supportive. “Most people said, ‘You’re a good NCO [noncommissioned officer], and that should be what you’re judged on,’ ” says Schmid. She has applied for a promotion to warrant officer but, despite her qualifications, she’s already been informed that her application will not be considered because she is transgender.